This page covers the author of A Short History of Nearly Everything. For other authors named Bill Bryson, see the disambiguation page. Bill Bryson has 1 media appearance. Friday, February 6, 2015, 7:30 p.m. In this book Bryson confronts his greatest challenge: to understand—and, if possible, answer—the oldest, biggest questions we have posed about the universe and ourselves. Taking as territory everything from the Big Bang to the rise of civilization, Bryson seeks to understand how we got from there being nothing at all to there being us. Also available at a 25% discount, this sumptuous illustrated edition. The BROKEN COMPASS ADVENTURE BOOK CLUB will discuss Notes From a Small Island by Bill Bryson. The KnitWits Reading Group will meet Wednesday March 19 at 6:30 pm at Common Thread to discuss In a sunburned country by Bill Bryson. With his signature wit, charm, and seemingly limitless knowledge, Bill Bryson takes us on a room-by-room tour through his own house, using each room as a jumping off point into the vast history of the domestic artifacts we take for granted. Bill Bryson One Summer: America, 1927 Bestselling author Bryson’s fascinating new book is a portrait of America in one epochal summer marked by exciting events and outsized personalities such as Charles Lindbergh, Babe Ruth, Al Capone, Al Jolson. Admission: $5, applicable to the purchase of Bill Bryson’s new book or any purchase at The Book Stall. Bill Bryson was born in Des Moines, Iowa, in 1951. A backpacking expedition in 1973 brought him to England where he met his wife and decided to settle. He wrote for the English newspapers The Times and The Independent for many years, writing travel articles to supplement his income. He lived with his family in North Yorkshire before moving back to the States in 1995, to Hanover, New Hampshire, with his wife and four children. In 2003 he and his family moved back to England, where they currently reside. "Bill Bryson" is composed of at least 2 distinct authors, divided by their works. You can edit the division. 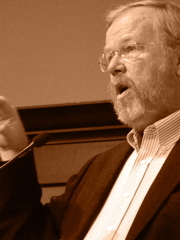 Bill Bryson is composed of 22 names. You can examine and separate out names.